Ideal for blocking off doorways and staircases. 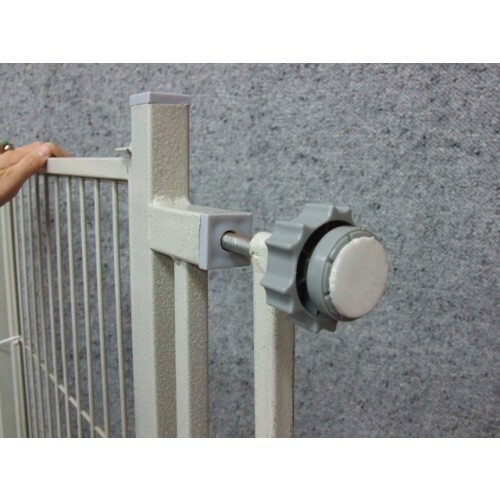 Adjustable width to fit a wide range of doors. 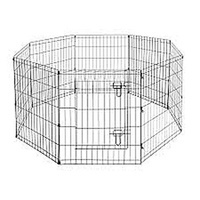 Ideal for keeping your dogs away from prohibited areas, while allowing easy access for yourself with a door and locking latch. 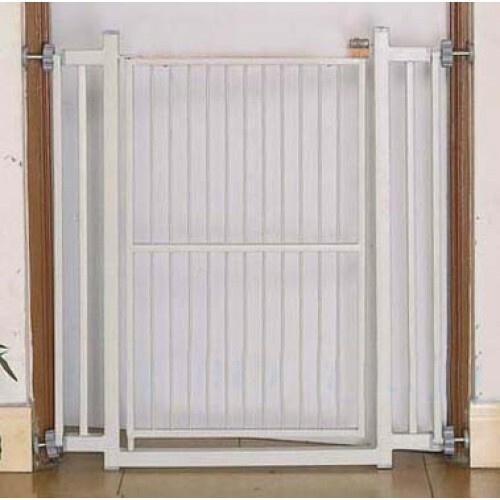 Most baby safety gates or doors are made of light-weight plastic or wood, and often have bar spacing that are too wide for small dogs, so they may not be suitable for pets. 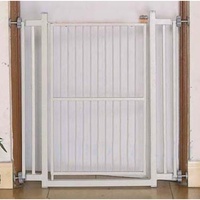 Our pet gates have much smaller bar spacing and are made of metal to withstand the force of small to medium sized dogs. Thanks for your message. 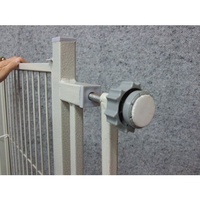 We do not sell extension bars for this gate, but we do sell extensions for the deluxe version. 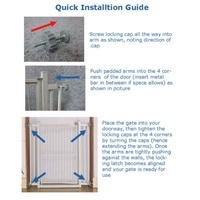 These gates are designed for indoor use and we do not recommend leaving them out in the weather. 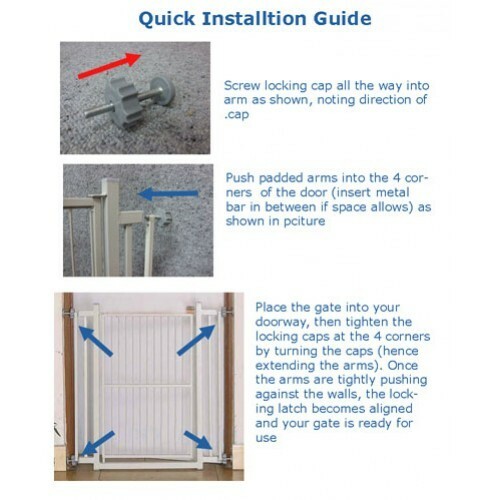 As a general rule, we do not recommend using more than 1 extension bar on each side, as the gate will come off the walls more easily. 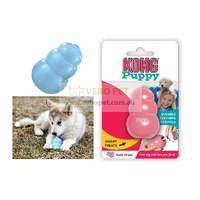 For postage quote, you may simply put in your postcode in the CALCULATE SHIPPING box to get a quote. 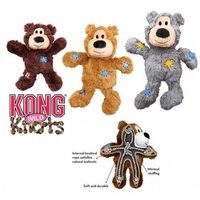 Or you can add several different products in your shopping cart and get a combined shipping quote there.